Do you make these image mistakes with your Web site design? » « The way epic filmmaking was 28 years ago — what happened? Can you give some reasons why a pixel-based layout would be more appropriate than an em-based layout please? There are quite a few reasons a fixed width layout (which can not be done when using ems for the layout, just to be clear), would be appropriate. But let me give you some of the top ones I’ve encountered. A client simply says “I want my site to look like that,” and points you towards a fixed layout. They might not know how to describe it, but if you come back with a variable width layout they’ll know. This is the number one reason I’ve encountered. And when money is on the line, you stop arguing and get paid. 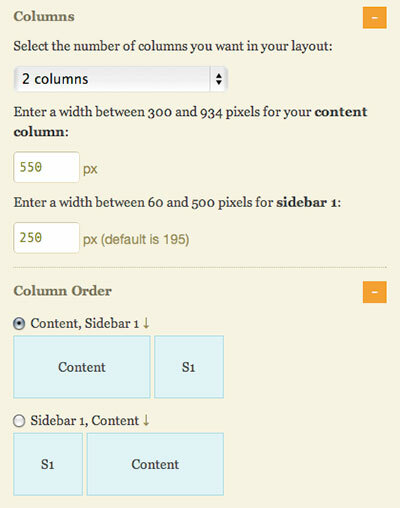 If there are a lot of images and videos on a site, for the sake of a standardization and a clean layout, using fixed column width is the way to go. For some, this doesn’t make a difference. Take this site: I want my full width images and videos to perfectly fill the main content area, right up to the left and right margins. That can’t consistently be done with em based layout. Well, you can use that em based image scaling, but I think it can make images look horrible. If you’re using em-based layout for accessibility reasons, I would say there’s less and less reason to do so. Most browsers when you increase the size of a page are now using a zoom method, that is they don’t simply scale the size of the text, but rather everything gets scaled. Likewise with accessibility, it’s easy for people to use their own override style sheets. So, fixed with layouts aren’t a huge problem when trying to create an accessible site. Lastly, just because. It’s another way to be creative, do something different. I like the clean lines of my site and the grid I’ve developed. That’s my preference … at least it is today. I can just as easily rip those custom css rules out and go back to a em-based layout. Thanks for your comment, Gary. I hope this helps. EMs and pixels are the same thing in Thesis as far as layouts go. The math is very simple and all you need to do is review how the CSS is generated to get to the bottom of it. Thesis turns the default font size to 10px in all modern browsers (including IE) so that amounts to 10px = 1em, 15px = 1.5em etc. The only people that are going to notice a difference are those that change their browsers default font size. Now if they do that on a EM based design everything will look more or less perfect since the design scales based on the default browser font size. Let’s say we have a box with a fixed height and width and we have some text in it. We’ve now matched the box size perfectly to the text. Now along comes a person with a custom browser font size, let’s say he uses 30px so its easier to read. With a EM based design the box would scale up with the text and everything would still look good. With a pixel based design the text would increase but the box wouldn’t. Now the design still looks the same but the text breaks out of the box and doesn’t look good anymore. The above is just a simple example. If you prefer pixels that’s fine, many do – but EMs aren’t a problem if used properly and they do render consistently. Danny, thanks for getting into the details of em-based design and explaining it in more depth than I did. I understand your explanation perfectly, and I actually agree ems should be preferred, but … designers can’t count on people keeping their default font sizes in browsers. I don’t believe that’s reasonable. Then when someone doesn’t have those default font sizes, it all goes down hill from there. That’s true, we can’t count on people keeping default font sizes. However many pixel based designs wont look very good with custom browser font sizes either. Neither solution is perfect (we’ve used both in projects and continue to based on client requests). P.S. : Personally, I prefer pixels! Oh my word. I think I might cry. You have answered a question that has been the bane of my life for months! You. Are. The. Man. Can you tell me if there is a quick way to reduce the padding area around the content box? earlier i was using on em basis only… was really irritated on using it!! !